The proposal of US based high-end accessories manufacturer Fossil Inc to set up its store in India is likely to be taken up by the Foreign Investment Promotion Board (FIPB) at its meeting later this month. "Fossil application had come and it plans to investment Rs 20 crore ($3.7 million)... In all likelihood, it should go for the next FIPB meeting on December 21," Department of Industrial Policy and Promotion (DIPP) secretary Saurabh Chandra said. He was talking to reporters on the sidelines of a function organised by CII. The company, according to reports, is keen on investing in a fully-owned single-brand retail venture. 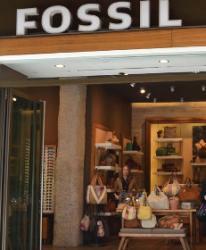 Besides high-end watches, Fossil sells other accessories like jewellery, belts and handbags. Till now, the FIPB has cleared four single-brand retail proposals. These included Swedish furniture-maker IKEA that proposes to invest in single-brand retail trading through a 100 per cent subsidiary. A 51 per cent joint venture of American luxury clothing retailer Brooks Brothers is the third proposals. Italian jewellery maker Damiani's plan to form a venture with Mehta's Pvt Ltd. Earlier, the FDI cap in single-brand retail was 51 per cent. However, this year, the government notified 100 per cent FDI in single-brand retail. Although foreign investors were compulsorily required to source 30 per cent of their goods from small and medium enterprises (SMEs), now, the government has decided that the domestic sourcing from SME sector would not be mandatory. The proposals involving FDI beyond 51 per cent, sourcing 30 per cent of the value of goods purchased will be done in India, preferably from MSMEs, village and cottage industries, artisans and craftsmen. In the multi-brand retail segment, large global companies like Walmart and Tesco are keen to enter in this segment, although there has been no formal proposal yet.